A friend of mine has recently ‘gotten into’ essential oils. Like anything, if you are going to be an addict, you just as well be a dealer. She created living-essence.us so go check it out! EOs are an extension of herbalism, which I’ve been studying in the last couple of years. This means, she’s sucking me down the rabbit hole with her. I’ve avoided the EOs so far, as they are terribly expensive. Recently my girls where under the weather, and she sent home her travel kit with me over the weekend. I fell in love with this little kit. I am in love. I am going to get me a set just like it. I am going to carry it everywhere. In a little zippered pouch smaller than the size of a point and shoot camera, she had the following. I can’t afford to get the whole kit at once, so I am going to piecemeal it together in about 4 stages. 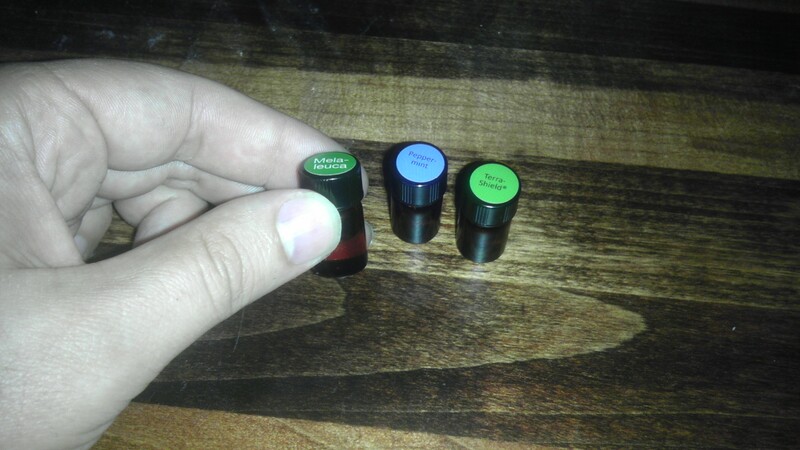 My first three bottles of oils. Tiny, aren’t they? My first indulgence is of the Melaleuca, Peppermint & Terra Shield. I am going to learn what these three can do for me very well before I get my next round. I don’t have a carry case for these yet. I have a 3d printer. So you can guess where this is going. My first draft case is rendered thusly. 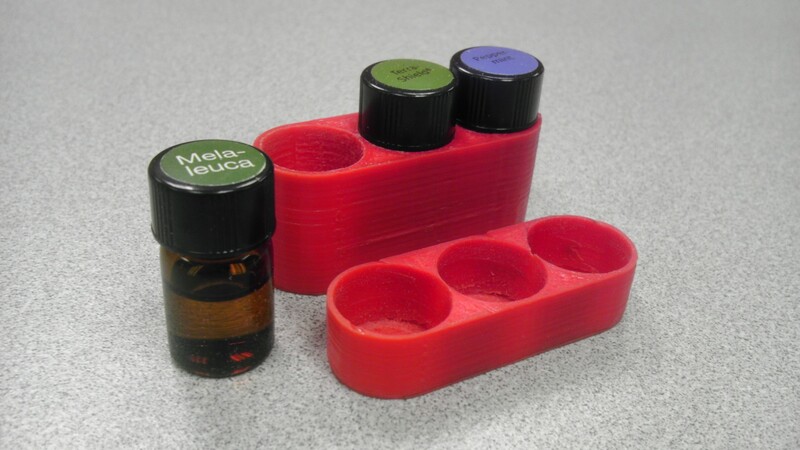 The 2nd case I printed for these 3 EOs. I buggered my my first print.